(CNS):Ever hopeful that the government will eventually fulfil its promise to change the traffic law to facilitate electric cars on Cayman's roads, John Felder CEO of Cayman Automotive has begun importing the Wheego Life EV. Hot on the heels of setting up the first solar panel charging station, Felder is determined to turn Cayman green despite the legislative barriers he has faced over the years. Cayman Automotive is the first dealer to deliver eco-friendly cars in the region and the Wheego represents another genuine step for Cayman away from fossil fuels. The cars can be charged at the new solar power charging station which generates green electricity using pollution-free cells reducing the vehicles’ carbon footprint to zero. If the driver can’t get to the solar panel station the car’s 115V lithium battery pack can be recharged from a standard 120V outlet, a 240V outlet. 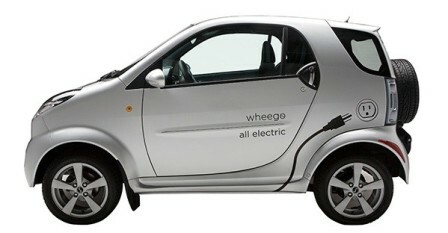 The Wheego LiFe EV gets 100 miles on a single charge, and is available in red, white, blue, black, silver, and green. Just like cars that use gasoline the Wheego LiFe EV comes fully-equipped with air conditioning, driver and passenger airbags, and power locks and windows. “The two-seater subcompact Wheego LiFe EV is perfect for anyone concerned with reducing their carbon footprint and I am honoured to be the first authorized Wheego Dealer in the Caribbean,” Felder said as he announced the arrival of the cars at the weekend. Cayman Automotive is also the first authorised dealer for EV’s in the Caribbean, and has recently introduced the ZENN, the Wheego Life, and Tazzari sport vehicles, which are 100 per cent electric powered. CEO John Felder confirmed that the full line-up of the Caribbean’s first 100 per cent electric trucks and vans will be introduced later this year. He also said that the first lucky 10 customers will receive no-cost charging stations. The campaign to change the law in Cayman to allow electric vehicles began some eight years ago. The late Sonny Ryan brought the first electric car to Little Cayman in 2004 but he died before he was allowed to use it on the road. Since then Felder has been pushing, cajoling and persuading government to change the law and in the face of many dates that have come and gone for the legislation Felder has never given up. In March, Felder brought in the first Chevy Volts, these green cars have their own internal generator which recharges the batteries that drive the car – so the unique hybrid escaped the law, which normally prohibits electric cars, because of that engine. At a special celebration of the car’s arrival (the first one was taken by CUC) government officials promised that the legislation facilitating all EV’s on the road would be brought to the Legislative Assembly by May. However, the date came and went and now Felder is hopeful that the law will be in the hands of legislators by September. On the day of the celebrations in March, when the premier also promised duty cuts for green vehicles, the chief officer in the ministry with responsibility for vehicle licensing Kearny Gomez said that there had been a lot of complex changes to the traffic law, which was why it had been a long time coming. “We are very, very close to finishing this comprehensive piece of legislation and it will make it to the Legislative Assembly before June,” Gomez had promised. If all the car dealers were the same, half of our car polution related problems would be solved. I recently read that Honda LA had a similar initiative, the electric cars are gaining momentum and that happens faster than I thought. Oh great…. 'upgraded golf carts' for Caymans roads….. just what we need…. Perhaps some reserach before braindead comments? Top speed 65mph, surely enough for Cayman roads? Still not as fun as a good ole' big block American V8 though…. you'd have to be BRAINDEAD to go 65mph in a matchbox like that! Crash in a lil' wheego; BRAINDEAD….. crash in big block V8; better chance of survival with brain still in tack….. I agree – but that wasn't your original point was it? Agreed… orig. comment was purely a sarcastic remark just for fun bcuz that's what they remind me of… golf carts….. that's exactly what they are though… 'beefed up golf carts'….. my concern is how SAFE are they on these roads which should be PRIORITY…. I'm pretty sure Mr. Felder would not want any LIABILITIES…..
for some reason the law was changed in a matter of days to allow the new amphibious tourist bus thing. Clearly in the electric car case no "mutual benefit" has been offered or received. What is a real shame is that private industry needs to fight government in order to make progress. 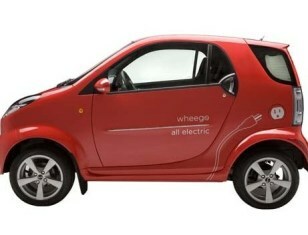 Who in government has been opposing electric cars, and why?. That is what we need to know. If it is because of pure lethargy, then it is even worse. Private industry pays through the nose for the huge, inefficient, government that Cayman has the pleasure to enjoy. To imagine that it also sits like a heavy layer of mud over the economy is truly painful. Will this not make our light bills higher? and cause another 100 dollars extra? just asking. With the goverment (you) subsidising my power bill I y gas am going to get a full fleet of these vehicles and never buy gas again. I going to sell all my gas and diesel vehicles before the glut. John there is a guy in North Sound Eastes with an electric boat. You need to check it out. So, you'd have to own a carolla for 10 years ($2,000/year in gas) plus the purchase price of say $15,000.00 before one of these would become word the purchase price? Plus Toyota has a reliability standard where as… who are these people again? Whilst Mr. Felder's determination to get EV's on Cayman's roads is commendable, the retail price of a Wheego is the same as a Nissan Leaf. He would be far better of petitioning the Nissan dealer to bring in superior engineered EV's that have passed crash tests in the USA, and for which a support mechanism for potential buyers would bein place. Nothing more than a business opportunity. Stop all the foolishness about green this and that crap and great inititative foolishness, I can't take much more of it. Yeah, What if there was no money to be made in it? Great initiative – congrats to you John for a courageous venture that truly benefits all of Cayman. This is an excellent initiative. Mr. Felder is to be congratulated. Hopefully, the new traffic law will soon be passed. The Cayman Islands, as a Small Island Developing State (SIDS), along with SIDS globally, as well as low lying countries like Bangladesh, will in future be affected by rising sea level. These countries lay the blame for their predicament with developed nations that have been pumping carbon (CO2) into the atmosphere since the beginning of the industrial revolution. Naturally, these nations look to the developed industrial nations for funding to help mitigate the effects of sae level rise. However, it is in the best interests of the Cayman Islands (and all nations that will be affected) to support initiatives to reduce our carbon footprint as soon as possible. This will allow us to argue that we are doing all we can to mitigate CO2 output and not solely asking for aid. Agree. And I know the Ministry is working hard to get this done very quickly. Knowing Cayman Gov't though…. anything goes…. IMPORTANT people always get what they want here…. even non-Caymanians… this more so than Caymanians anyway…. All depends WHO you are here…. May I suggest that you also try and find out about solar panels to power the car chargers. That would certainly be doubly efficient! How long do they take to charge at these solar stations? Or would we all realisticly be charging them at home using CUC .. ? The SAD reality is that you will all be charging them via CUC even when plugged into one of Mr. Felder's "solar" charge stations. (otherwise charge times would be very very long). don't hold your breath john…….. the delays and incompetence of this administration never ends…. Way to go John!!! It is about time Cayman looks to sustainable forms of energy and transportation. I drive less that 10 miles a day would love to have an electric vehicle. Now if we could get some vans for the taxi/bus services, that would be a huge bonus! Better hold on to your enthusiasm until you check the retail price of this "overpriced Chinese copy of a Smart fortwo", to quote an auto news website. They have the retail price at US$33,000.00 with air conditioning an additional $1995.00! Of course, it remains to be seen what this vehicle will be offered for, here. This is the way to go. How much are the cars to cost?